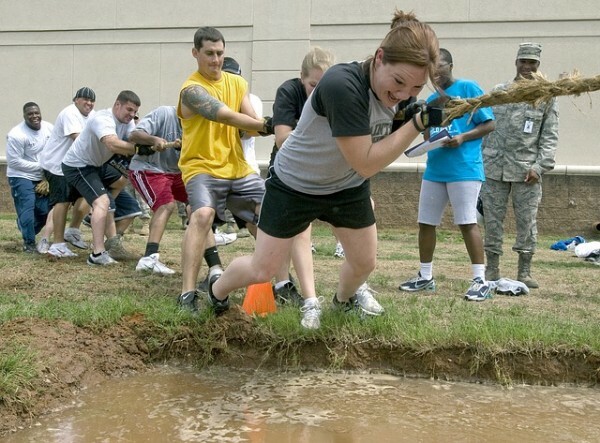 The letting agent fees discussion is a tug of war really. Tenants pull one way, agents the other, landlords have their own gripe with agent fees, but really just stay on the side and hope all’s not going to crash in their pocket. And few people consider the is middle ground solutions. At The Tenants’ Voice, we always promote cooperation and mutual understanding as the best tools to form long-lasting and fruitful relationships between tenants, landlords and agents. We believe that there is very serious problem with letting agent fees to tenants and that it’s vital that regulations are put in place to control who, how and why charges tenants and for what. However, we’re not convinced that a total ban is the best and most fair solution. Let’s get this out of the way. Everybody has a family to provide for and life to take care of. Nobody expects agents to be charity workers and exist on the good reviews they get by tenants and landlords. Similarly, tenants are not stacks of money waiting to be picked off the street. Agents cannot expect to charge whatever they want, just because tenants will do anything to get a good property. Sometimes, any property. Perhaps the bigger issue tenants face is not the amount of fees, but the fact that many tenants feel powerless and forced to pay money for services they never receive and benefit from. Who commissions the service ? Who is benefitted by the service ? It’s never fair that one party pays the bill for what another party ordered for their own benefit. So, let’s talk about some of the common bills that most agents charge and see how we can use some good old common sense to untangle the mess. When tenants rent a property, the also pay for a service. The landlord, outside of providing their property for use, also is expected to provide a service, which is to manage the property, conduct repairs and necessary safety inspections AND to setup a tenancy and do all the legal work surrounding the tenant occupying the property. This is a responsibility of the landlord. The tenant pays for and could reasonably be expected to be completely ignorant about how renting laws work and what administration is required when letting out a property. For tenancies where there is no agent employed, most landlords will do the leg work above and not charge a fee. So, when the agent, who is employed by the landlord, does the work, how come it’s tenants that get served the bill ? Many landlords also share that they also pay admin fees and are mostly not informed that the agents charge both sides. Okay, we can never expect the landlord to pay for referencing 5 or 10 tenant applicants. This is absurd. Tenants in their role of applicants for the property should be responsible to provide credentials and proper documentation for setting up the tenancy. That is their part. So, it’s reasonable for tenants to pay the agent for doing all the background checks, collecting referrals from the past landlord, perhaps the employer and so on. This is fair. What is not fair is to demand from a tenant to pay for new referencing for any new tenancy application regardless of any other circumstance. The tenant applies for a property. Fees are collected, paperwork is prepared. The tenant is approved, everything is ready to go. Tenant comes in the property and it’s a complete wreck – dirt and litter everywhere, damage to the interior and some appliances not working. Obviously, they don’t move in and negotiate to be given another property. What ? Have the tenants’ background details changed in the last two days ? It’s preposterous to think that a tenant will be happy to pay another £200 just because it’s the agent’s policy. And obviously, if they go to another agent, they will never accept using the referencing already been done. They will just charge another £200. And that’s a problem. If the tenant is paying for a product – a background report – they must be given ownership of that product. Agents should also work out a common standard for referencing, so that it can be used across agents. Currently, tenants are not even given a copy and denied access when they ask. One of the most infuriating aspects of letting agent fees is tenancy renewal. The average fee to renew a tenancy is £117. In 95% of all cases, all an agent needs to do is print a template and fill the details, copying form the original document and perhaps change the rent amount (mostly to a higher figure). Then, they need to send two emails and obtain signatures. Sometimes, it’s one email. That costs between £18 to £432 according to Letting Fees. And, it takes how much time and effort ? In april, the minimum wage per hour is going to be £7.83. Make your own conclusions. Inventory reports are great. We always recommend tenants to perform or keep attention to inventory reports, even though they are not legally required. When the tenancy ends and the deposit is disputed, the inventory reports provide a clear, undeniable proof about who is right. To make a really good inventory it takes a bit of work and quite a bit of experience as to not miss any important detail. So, it’s normal that this service is paid for by someone. Given that tenants and landlords share the benefits of having a good inventory, it’s most fair that the price gets split in half. Some tenants have special circumstances which require more additional work to setup the tenancy correctly. We could say that the agent does a service for the tenant by accommodating their specific needs and working out problems that prevent them from accepting a default tenancy. Some tenants need a guarantor to back them financially. Some tenants have a pet. Some tenants negotiate the tenancy agreement and require alterations to the terms. It is then reasonable for the tenant to contribute a small fee for proportionate to the additional work the agent has to do. It’s also reasonable for the agent to charge fees when tenants are purposely making their job harder by paying rent late, damaging the property, restricting access or causing a nuisance. Any breach in the tenancy agreement should be properly penalised. Everybody has to play by the rules. Bad agent. It’s easy to point fingers. We know there are many good agents out there and do honest work and help people find a good property to live in. We believe a good agent has the power to tame unreasonable landlords AND tenants AND keep things running better than they were before. Professional agents are essential to the private rented sector ! But, in order for tenants to stop demonising, agents should realise that a change is needed and letting fees are a major part of that change. This is not an argument-backed, logical defense. It’s just scare tactics and it’s not working. The reality is that agents are in the business of making money. As long as tenants keep paying and the government keeps allowing, agents will charge fees and reap profit. It’s just business. The bad side of is that this way of leading business is affecting the dynamics of the PRS leading to shorter tenancies and bigger tenant turnovers. Both the tenant and landlord are unhappy, but it’s fat stacks for the agent. Landlords will tolerate losses up to a certain point. With government pressure and the threats like fees being redirected towards them, landlords are now starting to back off their investments. News spun around the media that up to 20% of landlords will be looking to sell in 2018. Tenants will pay anything to have a roof over their heads. But how much is too much before the whole system explodes ? If you want a steady ride, don’t overinflate your tires. The conclusion is that nothing is truly black and white and most of the good solutions are cloudy grey. Some fees are fair, some are absurd. Agents should back off a little and it’s the government’s job to secure tenants with some breathing space. Tenants will have to (and they probably will) accept paying some fees. If we can all make a little compromise and use a little common sense, The Tenants’ Voice is optimistic about the result.